Announcement: We are excited to announce that we have a new Chiropractor joining us. 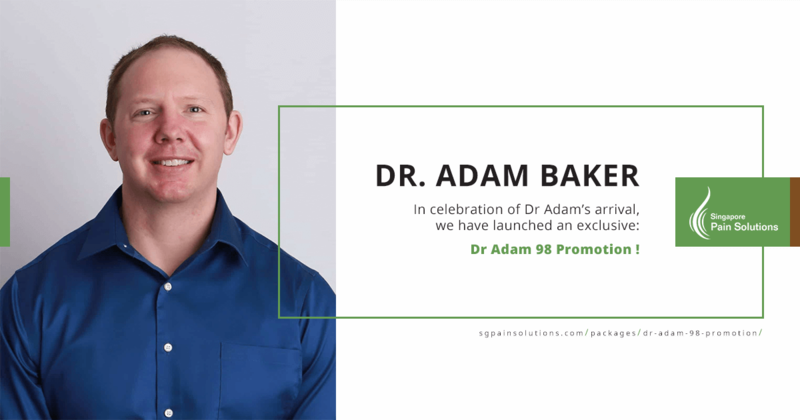 In celebration of Dr Adam’s arrival, we have launched an exclusive promotion. This is a great chance for those who always wanted to experience chiropractic care and not worry about affordability. Please Note: X-ray fee are NOT included if necessary. Second chiropractic adjustment treatment must be completed within the 4 weeks since the first appointment. Promotion is available by appointment only. This promotion is only for new patients seeing Dr Adam. ** Promotion has ended on 31 Dec 2018. Dr. Jenny Li is America trained chiropractor who specialises in sports injury, sports performance, and spinal health. She graduated from Palmer College of Chiropractic in United States, upon completion of the her post graduate program she practiced in Hong Kong and currently is practicing in Singapore. Dr. Jenny believes optimal sports performance starts with structure of human body as she helps her patients to achieve breakthroughs in their performance by choosing chiropractic. She is also the contributing writer for local online health and lifestyle magazine Soulscape. Dr. Jenny Li is the appointed chairman of Medical Committee for NABBA WFF Singapore. Next Post: Chiropractic, Physiotherapy, Osteopath: What are the differences? Singapore Pain Solutions is one of the most trusted chiropractors in Singapore. We focus on providing authentic chiropractic care for athletes, adults and children in Singapore. We are proud to be the preferred chiropractic partner among various bodybuilding contests in the region. Should You Choose a Chiropractor or an Osteopath for a Slipped Disc? Here’s the difference. Chiropractic, Physiotherapy, Osteopath: What are the differences?